RDCE (Robert D.C. Emery) is a conductor, pianist, record producer and serial entrepreneur. He is lucky enough to travel the world; ranging from performances in London's Royal Albert Hall, through to the Sydney Opera House. The Times called him 'the eccentric barefooted maestro' and the Mail quoted that 'the assured baton was controlled by the rather energetic and brilliant conductor'. Below is a summary of his rise to happy madness - click on the year. RDCE spent the year producing the follow-up album for soprano Joanna Forest. Featuring guest artists ‘Britain’s Got Talent’ winner Paul Potts and TV personality Andy Day. The album was a mix of styles reimagined for full symphony orchestra, choir and singer. The Rhythm of Life was released in March and went straight to number 1 in the Amazon and iTunes classical charts. Recorded in London’s Angel Studios and Headline Studios Cambridge, the album was produced, orchestrated and conducted by RDCE (you may even hear the odd piano solo from him too!). I cannot wait to start recording again. My debut album was so much fun to create and I am really proud of what we achieved; I am hoping to build on its success and make another record which will once again surprise people with what can be achieved on a classical album. On my new album we are excited about giving listeners another unique experience when it comes to the joy of classically orchestrated music. It will appeal to not just classical music lovers but anyone who has an appreciation for ALL music from many walks of life including younger listeners. It’s going to be an album that can not only be enjoyed alone as an immersive experience with its cinematic sound but also shared between parents and children, loved ones and friends. RDCE spent the year producing the follow-up album for soprano Joanna Forest. Featuring guest artists ‘Britain’s Got Talent’ winner Paul Potts and TV personality Andy Day. The album will be a mix of styles reimagined for full symphony orchestra, choir and singer. The Rhythm of Life will be released in 2019. Recorded in London’s Angel Studios and Headline Studios Cambridge, the album is produced, orchestrated and conducted by RDCE (you may even hear the odd piano solo from him too!). 2018 was an unusual year for RDCE, with the majority of his time taken on one single project: Bat out of Hell - the Musical. Following on from a successful London Coliseum and Toronto Canada run in 2017, the production transferred to London’s Dominion Theatre in the West-End where RDCE conducted six shows a week. On 6 December, RDCE had the privilege to conduct the Royal Gala performance in aid of the Invictus Games Foundation; with HRH The Duke of Sussex in attendance. Parallel to the London production, RDCE flew to Germany to set up the first international production of Bat out of Hell acting as Associate Musical Supervisor. He also produced two promo singles; All Coming Back To Me Now and Bat Out Of Hell. It has been a couple of years, but RDCE had the pleasure of working with Russell Watson again for a private event abroad. 2017 has so far been RDCE's busiest year ever. And like in 2016, the year started (and ended!) with Jim Steinman; however this time the project was 40 years in the making: Bat Out Of Hell - the musical. Jim released this iconic record on October 21st, 1977, and since that date, had always wanted to put it on stage. Finally his dream came true, and I was lucky enough to be asked by him to conduct the world premiere of this piece. We started previews and a three month stint at the Manchester Opera House, slowly changing and perfecting the show. We then moved to the home of the English National Opera, the London Coliseum to launch the world premiere of the piece. This theatre is the largest in London, and epic in proportion - just like the show. With a sold out run in Manchester and London, the production, and RDCE, travelled to Toronto for the Northern American premiere and played from October through to December. Next up came Ben Hur again, this time with the world-famous ORF Radio Symphonieorchester Wien at their famous Vienna Konzerthaus. This is one of the most beautiful concert halls in the world, and both Stewart and RDCE were in awe of the beauty (and not forgetting the incredible musicians on stage). Back in the UK and things were hotting up in the recording studio. RDCE was lucky enough to be asked by up-coming rising star Joanna Forest to produce her debut album. Together with the Arts Festivals team, RDCE produced, orchestrated, conducted and even wrote three songs for the album. 'Stars Are Rising' was released on the Arts Records label, performed by the City of Prague Philharmonic Orchestra and Arts Symphonic, with Arts Voices closing the album with a dedicated track. This album broke the record for the debut album of an artist on an independent record label to ever shoot straight to number 1 in the classical charts. And if you're interested about the process of making an album, here are a couple of short interview with RDCE, Moritz Schneider and Joanna Forest. The next project in the studio was working with the soul artist, Seven. RDCE has worked with him for many years now, and when the phone call came to ask if the Arts Festivals team would be interested in writing four tracks of 'symphonic movements' on the new album, we jumped at the chance. 4Colors was released in July, again shooting straight to number 1. This was RDCE's second number 1 album in just under six months. Written by Moritz Schneider and RDCE, orchestrated and conducted by RDCE, the four sections act as a link between each colour. July also saw the release of 'Singing My Dreams' by Carly Paoli. RDCE produced, orchestrated and conducted three tracks for Carly's album back in 2015 and this release was long due. Carly as a debut artist went straight to number two in the Classical Charts which meant RDCE had three albums in six months in the top two positions. David Mellor, Classic FM Presenter and Sunday Mail columnist quoted "This album is uplighting, with first-class symphonic arrangements... my favourite, Robert Emery's exultant arrangement from Cinema Paradiso for soprano and symphony orchestra". Just a month later, RDCE was back in the studio recording the cast album for Bat Out Of Hell (which has gone straight to number 1 in the Amazon charts) and working on a new single for the world-renowned composer Olga Thomas-Bosovskaya. The new composition ‘Royal Platinum Love Song’ is to celebrate Her Majesty The Queen and His Royal Highness The Duke of Edinburgh’s Platinum wedding anniversary in November; produced, orchestrated and conducted by RDCE. Finally to round of a crazy year, once again the Arts Festivals team came together, with RDCE acting this time as composer, orchestrator and Musical Supervisor for a new musical which had it's world premier in Switzerland in September. 'Anna Göldi das Musical' is based on a true story of love, hope, fear and jealousy - this rollercoaster of emotions tells the truth about Anna Göldi's witch hunt finally coming to light. The limited run was hugely successful; and the 3 million budget show was a huge hit with both audience and reviewers. 2016 started with a bang in Berlin. Tanz der Vampire (Dance of the Vampires) is a musical written by Jim Steinman, Michael Kunze and Roman Polanski. Although in the UK TdV is an unknown production, in Europe this wonderful show is now celebrating it's 20th year, and has played everywhere from Paris to St. Petersburg and beyond (it's even had a stint on Broadway!). For all 20 years the Musical Supervisor has been Michael Reed - but for this European tour, Michael was busy - and so the baton was passed to RDCE. For four months, RDCE setup the show with a brand new cast, and conducted the first six weeks of performances before handing it over to his assistant. Upon his return the the UK, a letter was waiting marked 'Confidential from the Prime Minister's office'. RDCE was invited to Downing Street to meet David Cameron to discuss arts and music in the UK and how to further this sector with the young people of Britain. It was a real honour to be consulted on something like this and certainly something he will never forget! Next came an unusual corporate event in Switzerland where Robert Emery devised a 40 minute show featuring the Arts Symphonic orchestra, a dance group, the famous Indian singer Ananda Mukerjee, the famous double bass soloist Mich Gerber and all timed perfectly to custom-created animation projected on the stage for the musicians to interact with another world! This turned out to be really an incredible one-off show, and to prove it, take a look at the short video below. Finally, to round up a successful year, RDCE was once again invited back to conduct the Sinfonieorchester Basel to make his debut as world-wide conductor of the new Stewart Copeland piece to the 1925 MGM film, Ben Hur: A Tale of the Christ. To add to the special occasion, we performed outdoors in a Roman Ampitheatre; the Augusta Raurica which created an atmosphere akin to being in the Colosseum in Rome hundreds of years ago. This year has seen RDCE now splitting time between London and his new home in Cambridge. He was also invited back by the Basel Symphony Orchestra to conduct a new concert, and then flew to Shanghai to take part in the ‘GREAT Festival of Creativity’ in the presence of HRH Prince William. Next, he added to The Arts Group Limited by founding an artist agency, run by artists, for the artist. Arts Associates represents a small but über-talented group of musicians, ranging from composers through to famous tenors and sopranos from across the globe. He also enjoyed (for the first time in six years) a holiday - spending two glorious weeks in the Maldives with Mrs E.
He has appeared over twenty times on the Sky Arts TV channel conducing the ‘Return of the Voice’ at the Royal Albert Hall (the infamous concert where Mr and Mrs E met! ), has been to Radio 2 to play on Elton John's piano, and has recorded an album with French singer/songwriter Angie Ott recorded with the Prague Philharmonic Orchestra. At the end of 2015 he toured with ‘Britain’s Got Talent’ star Jonathan Antoine and co-composed an ‘Anti-Blatter’ song protesting about the corruption within Fifa, which will be released early 2016. Oh, and he and Mrs E had a baby boy! Baby Emery - and so the cycle begins again! "I have many people to thank over the years for their support, but three people in particular have helped shaped my career to become what it is today; Mike Reed, for being a true friend and mentor who has given me the opportunities to meet the people and be involved in the most amazing projects; Moritz Schneider, who is not only my best friend but also the most naturally gifted musician one could hope to work with; and Russell Watson, who over many years of working together, has introduced me to not only some of the best orchestras in the world, but also some of the best artists - including Russell himself. The year started in New York on honeymoon, then Amsterdam for work - casting auditions for a new show. A month later, off to Kuala Lumpur, Uzbekistan, then back out on the road again with ‘The Voice’ culminating in a fantastic outdoor concert at Greenwich Naval College with the Royal Philharmonic Orchestra with guest stars Rhydian Roberts and Kerry Ellis. RDCE then added to The Arts Group Limited by creating Arts Productions, a television production company focused on producing arts projects on digital media. RDCE started the year working with Russell Watson and Claude-Michel Schönberg (composer of ‘Les Misérables’) on their new album, ‘Only One Man’. Going to work with such an experienced, well respected producer and composer as Schönberg was something very special and difficult to beat! Once this project was in the bag, he was flown out to Switzerland again for a new show which Moritz Schneider and Michael Reed had composed; ‘Der Besuch Der Alten Dame’. He spent the summer working with an insanely talented cast and creative team, and spent so much time in Thun that it felt like his second home. He returned back to London in the autumn and expanded The Arts Group Limited by adding a small but perfectly formed record label, Arts Records. The beginning of 2012 was crazy for RDCE. He travelled to Switzerland to play and conduct a special one-off concert called ‘Rhapsody in Brass’. Later in the week, he was helicoptered to the o2 arena in London to conduct the Military Wives in a live TV performance of the ‘National Television Awards’. Just one week later, he flew out to Australia with Russell Watson to perform in Perth, Melbourne and at the world-famous Sydney Opera House. Whilst back in the UK, RDCE met with Petula Clark to start working on updating a musical she composed titled ‘Zola’. To round of the year nicely, RDCE went back into the studio; this time with soul/funk artist Seven to record The Art Is King. Recorded with the fantastic City of Prague Philharmonic Orchestra, RDCE conducted, wrote and arranged the orchestral music and together with the Arts Festivals team, took the album to number one in continental Europe. The year started off with RDCE conducting a concert in Singapore at The Esplanade. He returned to the UK to conduct the Russell Watson ‘Return of the Voice’ tour with Arts Symphonic, the orchestra he founded which is now one of Britain’s most passionate and trendy orchestras; and Arts Voices, one of the UK’s most versatile choirs. The tour also included recording a live concert for DVD/TV at the Royal Albert Hall, for which RDCE was also Executive Producer. Although he didn’t know it yet, across the crowded orchestra was sitting a horn player who would turn out to have a significant effect on his life! During 2011 he caught a flight on average every three days, returning again to be Musical Associate for the next production on the lake in Switzerland whilst simultaneously conducing the transfer of ‘Dällebach Kari’ to Zurich. He then conducted a tour of Japan including a 15,000 seat arena whilst juggling arranging and producing a series of concerts in Lucern with the soul artist Seven, the 21st Century Orchestra and producing partner Moritz Schneider. He conducted the National Symphony Orchestra for the finale of the Welsh ‘Eisteddfod’ for live television, and finally, at Christmas, was asked to conduct the London Philharmonic Orchestra for the Huawei sponsored annual Christmas concert at the Royal Festival Hall. RDCE spent ten months in Switzerland where he met his future business partner, Moritz Schneider. Firstly, he was Musical Associate for a brand new Swiss musical called ‘Dällebach Kari’ on a lake in Thun. This special event was held on one of the largest outdoor stages in the world; it certainly has the most stunning views. Now imagine a famous pop/rock band; then imagine a famous classical orchestra. Fuse the two together and what do you get? RDCE stuck in the middle! He arranged around 80 minutes of music with his Arts Festivals business partner Moritz Schneider, which included rewriting the Lovebugs songs to fit with pieces like Beethoven’s ‘Moonlight Sonata’, and Bach’s ‘Toccata and Fugue’ for a special three night concert of 'Lovebugs & Basel Symphony Orchestra Live at the Stadtcasino'. The event was also recorded for TV and DVD. After these sell-out dates, he returned to the UK and received a phone-call from Russell ‘The Voice’ Watson asking him to go to his house to record a BBC TV slot. The following week they flew to Miami for the global conference of Sony Music, and finally returning to conduct a segment for ‘The Royal Variety Show’. RDCE was now confirmed as Mr Watson’s official Musical Director. More performances in front of the royal family, this time at the ‘Variety Club Gala’ playing his own arrangement of Gershwin’s ‘Rhapsody in Blue’. To utilise the idea of producing his own events, RDCE added Arts Festivals to The Arts Group Limited; a live event company designing high-quality, value-for-money concerts. After setting this up, he was then asked to become the Musical Associate of a film version of the Broadway show ‘A Tale of Two Cities’. It was in this year that RDCE was nominated to become a Fellow of the Royal Society of Arts, thus giving him more letters after his name (RSA). During these years, RDCE became the Musical Associate for the New London Children’s Choir, performing around the UK with them, including the opening of St Pancras International Station in front of the Queen. Continuing his love of musical theatre, he first wrote the arrangements, then became Musical Director for a new musical called ‘Betwixt!'. Following five star reviews across the board, transferred to the West End to play for a special at The Ambassadors Theatre. 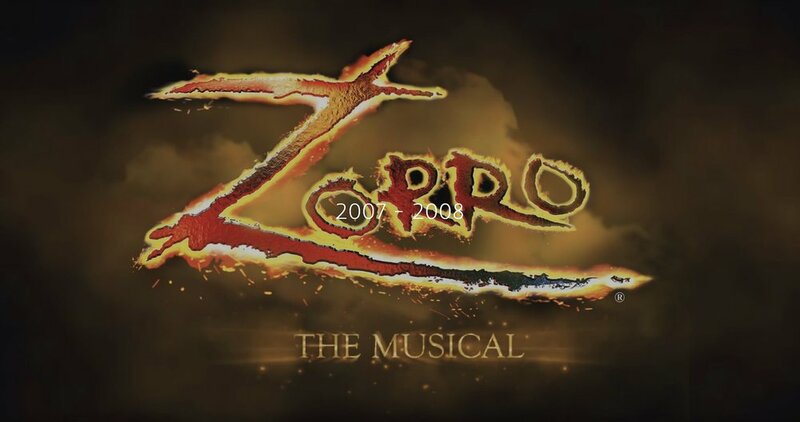 It was during this time that he also became Musical Associate for the West End production of ‘Zorro The Musical’ at the world-famous Garrick Theatre. Next RDCE founded Arts Solutions, a lighting and sound hire company within The Arts Group Limited portfolio. 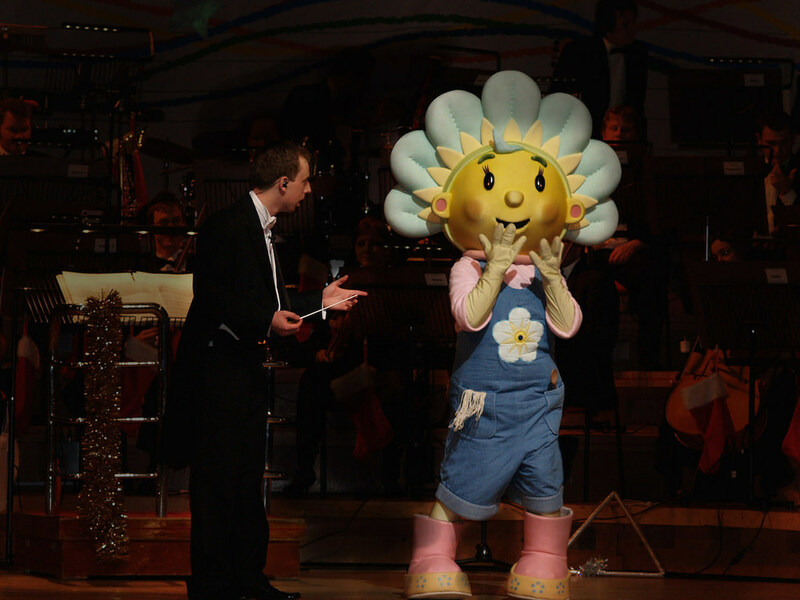 To top off a busy couple of years, he went on tour presenting and conducting the Five TV production of ‘My First Carol Concert’; an innovative series of concerts with the British Philharmonic Orchestra, in which children’s TV characters would interact with him and other members of the orchestra. This series of concerts solidified for RDCE the importance of children experiencing classical music. To launch his life outside of the RCM, RDCE went on a 35 date tour, recorded his second album 'Robert Emery: Live in Concert', and performed in several large scale events such as the ‘International Arts Festival’ (NEC Arena Birmingham), and in front of members of the Royal Family and international politicians at the ‘Red Cross Royal Gala Ball’ (Mansion House, London). Aside from his performing, he decided to re-structure the business and The Arts Group Ltd was born. RDCE has always tried to juxtapose his business management with his musical career, and out of the five core ideas he had for the business, only one could be put into fruition. With guidance from his personal board of advisors, he set about creating his first company within The Arts Group Limited, a national tuition service called the Arts Academy. The first term was launched, and the Arts Academy was hailed as a success. Years later, the service has grown to be the largest tuition service in the UK, and is now under the close supervision of its shareholders. During his second year at college, RDCE decided that although conducting the Birmingham Philharmonic was fun, it was also potentially a fluke that he waved his arms correctly! He added conducting to his programme studying under Neil Thomson. Because Emery Productions Ltd had an office and staff in Birmingham and RDCE now lived in London, he grabbed every chance to make the 240 mile round trip (sometimes five times a week) in between his lectures. He did this for his first two years at the RCM, but his parents finally persuaded him to concentrate on his education. During his last two years he cut down on everything and closed the office. On July 8th 2005, he graduated from the Royal College of Music with honours. At the age of eighteen, RDCE moved down from the West Midlands to London. In his first year at college, Emery Productions Ltd produced a 35-date concert tour and a £100,000 production of the ‘Classical Extravaganza’, with RDCE becoming the youngest ever conductor of the Birmingham Philharmonic Orchestra. This, incidentally, was the first time he had ever conducted and simply thought, ‘I started playing the piano without training, so it can’t be that difficult; I’ll give it a go!’ By some miracle everything went well (with the exception of him accidentally flinging his baton into the head of the orchestral leader), and RDCE found that he had a natural ability for conducting as well as the piano. To have a bit of fun, he then hauled a grand piano to the highest point in the West Midlands for a live BBC television broadcast. He was due to play a four minute slot of popular classical music, however two hours before the broadcast the heavens opened. The piano was quickly wrapped in cling-film and RDCE was converted from a dapper performer into a drenched musician, and ended up playing ‘Singin’ in the Rain’, as the keys were too slippy to perform the classical set! One day he may convert the footage from video-tape to digital media! As music was now the all consuming mission, RDCE auditioned for the Royal College of Music, London. Four months later, it was announced he was to be one of the three UK pianists along with just six international students who gained a place, studying under celebrity music professor Ruth Nye MBE. Ruth was taught by Claudio Arrau, therefore making RDCE a teaching descendant of Liszt, Beethoven and Mozart. After doing some sums, he calculated the cost of the four year course to be around £60,000. Some quick fundraising was needed, so he persuaded the local concert hall to open its doors for free to host a three-night RDCE special! He begged and borrowed everything from the piano to the lighting rig. The production raised enough money to fund the first year at the RCM. As he enjoyed the production process so much, at the tender age of 17 he set-up his first limited company producing not only his own concerts, but also award ceremonies and medium-scale theatre; thus Emery Productions Ltd was born. Inspired by the west-end production of Joseph he saw seven years earlier, RDCE donned a loin cloth and took the lead role in a local production. Although massively enjoyable, it was quite obvious that he should stick to music! It did however confirm for him that he absolutely loved musical theatre and although the next five years would be spent training in the classical world, that love would never disappear. RDCE signing his first autograph! After one year of piano tuition, RDCE was given his first exam piece to practise. At this point it became apparent that he couldn’t read music, so his parents moved him to a more experienced teacher to ‘start again’. His focus up to that point was music until at the age of nine, he auditioned and was awarded a part on stage in the national tour of ‘Annie Get Your Gun’. This little folly of ‘treading the boards’ was a huge success, and once the run was over, he had a dilemma – his parents said it had to be either acting or music; music it was to be and within 12 months, RDCE was one of twelve pupils from across the country to join the newly created Birmingham Conservatoire Junior School of Music. Despite turning away from acting, his interest in theatre never died. In 1993 he visited London for the first time to see his first ever musical; Joseph at the Palladium. In the programme, RDCE circled the name 'Michael Reed: Musical Supervisor' and wrote next to it "one day I will do this job'". He had no idea that 17 years later, he would become very good friends with Mike Reed and even spent half a year with him working in Switzerland. 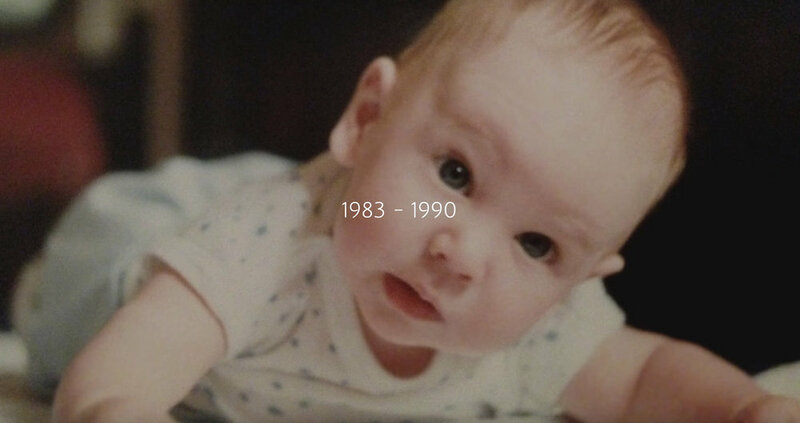 Robert D.C. Emery was born on the 22 March 1983 in Walsall, West Midlands. His life was remarkably normal, until he started playing the piano at the age of seven on the family piano which had been passed down the generations. After listening to his favourite tunes on the Sunday night 'Top of the Pops', he would run to the piano and attempt to play them – amazingly, even without tuition he started playing these tunes quite well, so his parents asked a local teacher to work her magic. Thank you - and welcome to the world of RDCE! Do visit the Fanzone page here. The password to access all the hidden secrets is ‘Baton’!